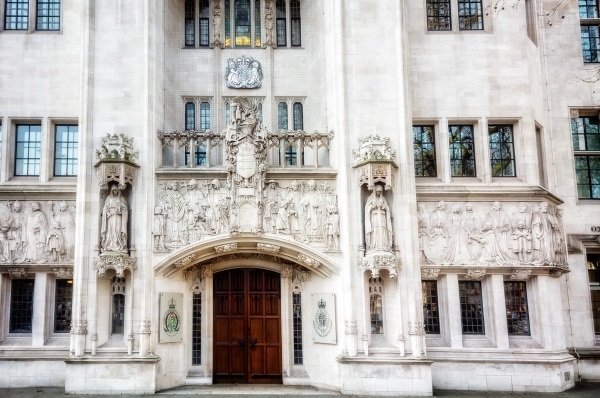 The Supreme Court’s recent decision on the Jon Platt case highlights again the importance of dealing with term-time holidays - though we're yet to hear the last of this legal tussle. I have previously examined the debate surrounding term-time absences. In this update, I consider what happened in the Supreme Court and its implications for Mr Platt, and for headteachers, with a view of the changing public mood. When Jon Platt faced Isle of Wight magistrates and claimed that he had not broken school attendance regulations because, even after the family holiday, his daughter’s attendance was still within the authority’s ‘good’ attendance figure, the magistrates found ‘no case to answer’. The High Court has since upheld the judgement, leaving the Isle of Wight Council – with DfE backing and material support – to take the case to the Supreme Court. There it was heard by a panel of judges, led by Baroness Hale of Richmond, Vice President of the Supreme Court. The court’s verdict was publicly released on 6th April. Their judgement was unanimous. Handing it down, Lady Hale reported the following. 'Unauthorised absences have a disruptive effect, not only on the education of the individual child but also on the work of other pupils. If one pupil can be taken out whenever it suits the parent, then so can others. With this judgement, the Supreme Court appears to have discounted the previous landmark rulings of 'London Borough of Bromley v. C (1969)', which related to school attendance, and 'Regina v Rimmington (2006)', which enshrined the principle that ‘no one should be punished under a law unless it is sufficiently clear and certain to enable him to know what conduct is forbidden before he does it’ (1 AC 459 (HL). However, they have not turned over the case law – it is what it is – but told Jon Platt that he was wrong to rely on those decisions. Of course, what changed was the introduction of new regulations in 2013, which set out the expectation that going on holiday was insufficient justification for absence from school. It is under these regulations that headteachers have struggled to distinguish ‘exceptional circumstances’ from the unexceptional. The Supreme Court's decision was to uphold the original £60 (£120 for non-payment) fine imposed by the Isle of Wight’s truancy penalty notice (TPN). Mr Platt has refused to pay this, and consequently will face another hearing by Isle of Wight magistrates. Determined as he is to fight on, we are probably yet to hear the last of Jonathon Platt and his battle against the Isle of Wight Council. Sadly, for colleagues hoping for clarity there is as yet no change to the duty on headteachers to consider what could be exceptional circumstances to justify absence and whether or not to initiate a TPN. Richard Watts, chair of the LGA’s children and young people’s board, commented that what is needed is certainty for parents, teachers and councils, so that headteachers have the confidence to approve or reject requests for term-time leave in the best interests of pupils. Watts is reported to be seeking a meeting with the DfE to achieve this. There continues to be much debate on this issue and, in some places, feelings runs high. Headteachers are duty bound to impose what many would describe as socially divisive and morally unfair punishments on parents who remove their children from school, even for a short family holiday. Many are becoming aware of the shaky foundations of the government’s case. As previously reported, there is no substantial evidence to prove that absence for holiday reasons has a negative effect on academic performance - but can actually enhance it. Sadly the DfE has failed to consider, let alone address this evidence. This may be why the rhetoric emerging from Westminster is beginning to associate absence not only with supposed disruption to the individual pupil, but to entire cohorts. This claim is currently void of any supporting evidence. When Sir Michael Wilshaw, previously HMCI, appeared on BBC television on the morning of 6th April, in anticipation of the Supreme Court judgement, he suggested that 'if you love your children, you wouldn’t take them away in term time'. This is at best ill-considered and at worst, a crass and arrogant statement that ignores the realities of peoples’ lives. Unsurprisingly it raised a storm on Twitter, with one respondent suggesting that ‘those without his salary are uncaring scum and just want to neglect their children’. Another asked if Wilshaw was mentally ill. Such statements do not win the DfE any friends, and it appears to have retreated to its previous position that all absence is bad. However, Twitter evidence suggests that there is around 60 per cent of opinion opposes what one lawyer called ‘draconian laws and reactionary policies’. When Talk for Teaching carried out a Twitter survey, only 43 per cent of respondents said that term-time holiday absence should not be authorised for one week. The issue remains a concern for headteachers, who face varying practice from authority to authority and have to exercise a level of responsibility for which many feel ill-equipped. The view has now emerged that TPNs not only penalise the most vulnerable, but are socially divisive: parents who send their children to private school are free to choose when they go on holiday, and so are never criminalised by the system.